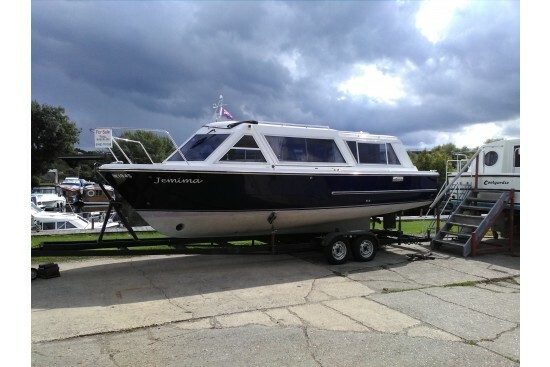 Is a superb day cruiser for up to 12 people that converts to a most comfortable overnight boat, providing either peace and tranquility or lively fun afloat. 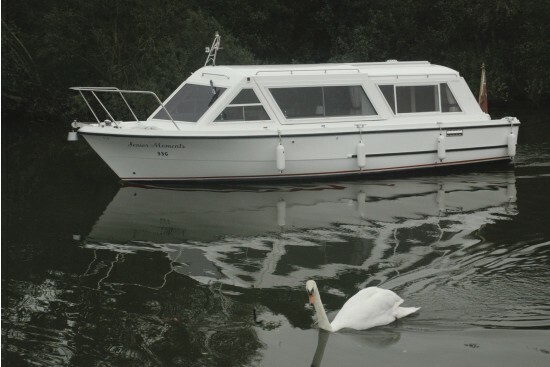 The forward helm position has twin sliding overhead canopies for all weather cruising and the craft's height and width make the majority of the UK inland waterways available. 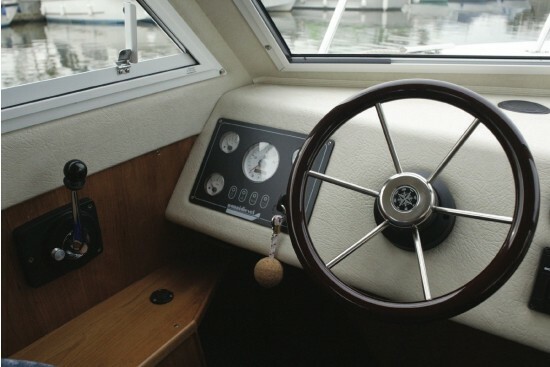 There are two interior layouts - Flair and Finesse. 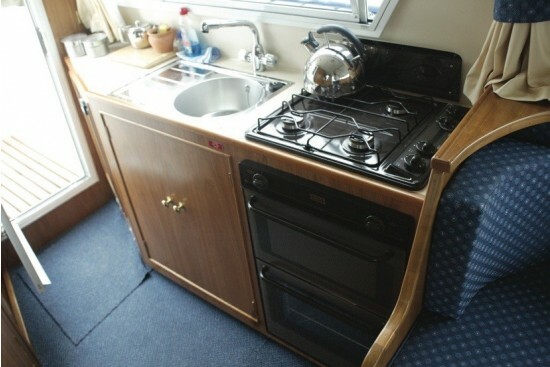 Both have a fully equipped galley and a shower and toilet compartment to provide full comfort facilities. 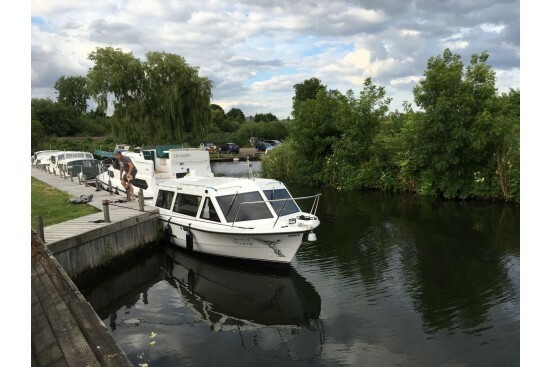 The Flair option could be considered a day boat for up to 12 people, converting to occasional use as an overnight boat with berths for two people - either as two singles or a large double. 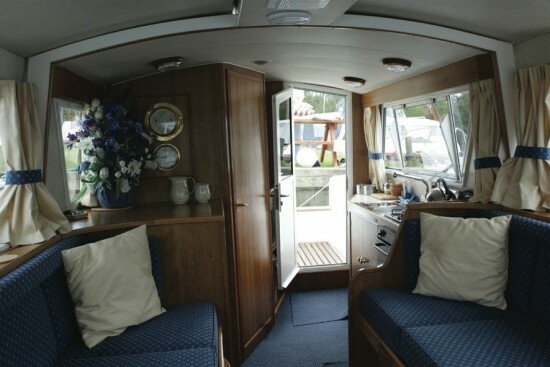 The Finesse option is a mid-engined craft and overnight accommodation is achieved with a fixed double berth in the aft cabin. 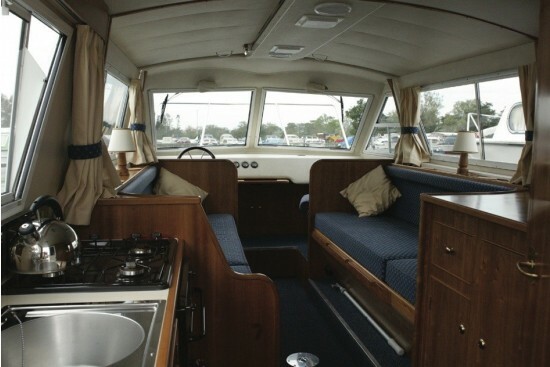 The forward saloon has a high quality wrap-around settee that converts to an additional double berth. Height above waterline to top 1.88m 6'2"